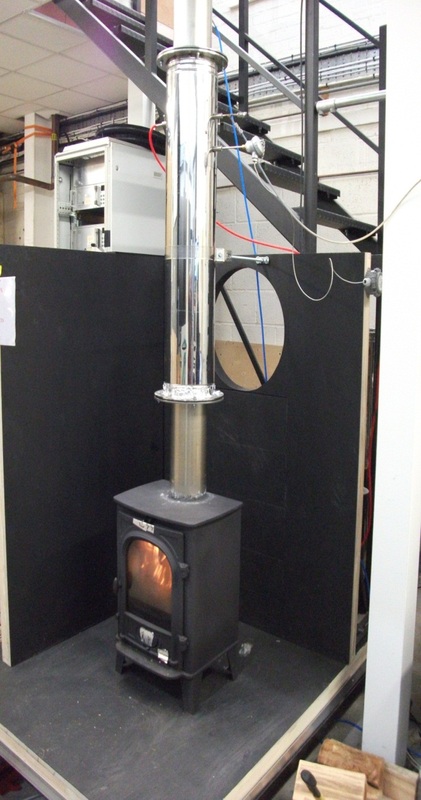 Testing of Solid Fuel Stoves | BSRIA Blog - Opinions and insights from BSRIA Limited. 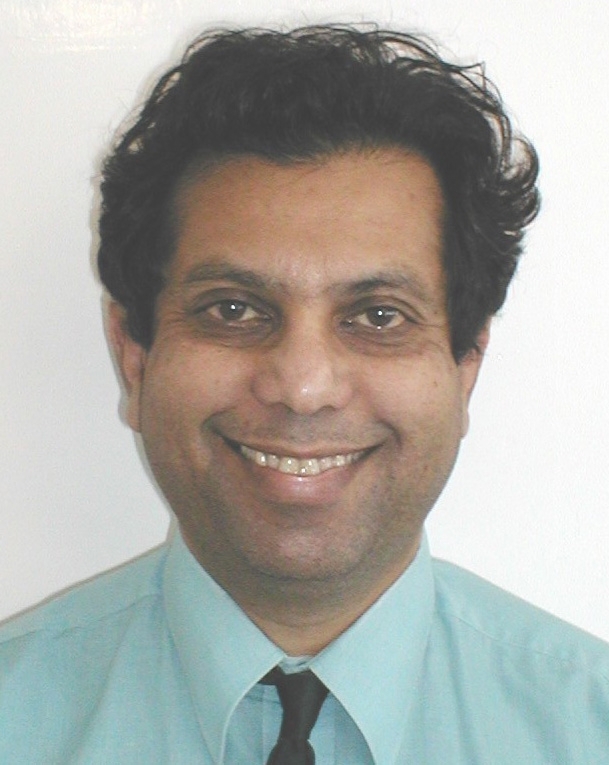 ← Smart metering makes BPE easy…or does it? Stoves manufacturers are now CE marking their appliances under The Construction Products Regulation (EU) No 305/2011 (CPR) having successfully completed the CE marking tests at BSRIA on a purpose built facility. The facility was UKAS assessed this year in accordance with BS EN ISO/IEC 17025 “General requirements for the competence of testing and calibration laboratories” to become an Accredited and Notified Test laboratory for testing Solid Fuel Stoves The automated test facility which has a unique data acquisition system for recording real time data such as flue gas emissions, 300 trihedron wall and floor temperatures, flue draught and the fuel load enables both the thermal performance and smoke emissions tests to be carried out on free standing stoves designed to burn wood and mineral fuels. Fundamental to achieving optimum thermal performance of the stove under test are a number of variables. These include achieving the correct combustion air settings – the appliance air controls must be adjusted accordingly to optimize the flue gas temperature, CO2 and CO levels within the flue gases whist at the same time achieving the optimum burning rate. Unnecessary variations in the test conditions such as the flue draught can significantly affect the burning rate and thermal performance of the appliance. The test standards require a flue draught of 12 ± 2 Pa for thermal performance test at nominal heat output for appliances up to 25 kW. For temperature safety tests, the flue draught must be maintained at 15 +2/0 Pa for appliances with a nominal heat output of up to 25 kW. The test rig is automated to give good controllability of the test conditions within the limits imposed by the test standard. Minimizing variations in the moisture content of the test fuel is an important parameter that is important both for repeatability of the test results and achieving optimum combustion performance. This variable is also controlled using internal quality control procedures, careful selection of the test fuel and measurement of the moisture content before the tests. CE marking of stoves became mandatory from the 01 July 2013 and under the CPR, manufacturers products are now required to demonstrate compliance with the above tests by having the appliance tested by a Notified Test Laboratory. These tests are summarized within annex ZA.1 of the standard. Manufacturers are also required to implement their own factory production control (FPC) procedures under the current attestation level 3 for room heaters fired by solid fuels. burning unauthorized fuel in smoke control areas within the UK (section 21 of the Clean Air Act 1993). 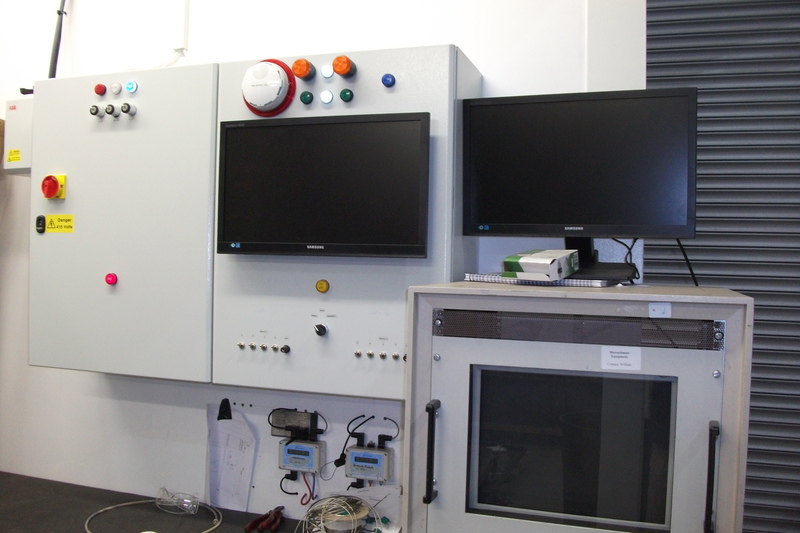 The state of the art test facility uses the dilution tunnel approach with isokinetic sampling of the flue gases, an approach which is also used by some European test houses. Tests are conducted in accordance with PD 6434, BS 3841 Parts 1 & 2 and the Richardo -AEA Test Protocol issue 3.0. Because of the variation in the smoke emission between tests, multiple tests are conducted at high heat output as well as reduced heat output. As the smoke emission rate is dependent on the size of the stove (volume of its firebox), its air controls which affects its combustion performance and the fuel used, the measured heat output at each load must also be reported. If appliances are fundamentally different in their designs, then individual smoke tests are also required. The exception to this are appliances with cosmetic changes to the exterior. The smoke emission rate can also be affected by the manner in which the appliance is refuelled. If the firebed is not established i.e. if there is insufficient burning material to cause the new fuel charge to ignite within a reasonable period or if the appliance is overloaded with a new fuel charge, excessive smoke can occur. Care has to be therefore taken during the tests to avoid such adverse operating conditions that can cause the stove to unnecessary fail the smoke emission tests. the sampled gases within the sampling nozzle is maintained the same as that of the mainstream flue gases within the dilution tunnel. 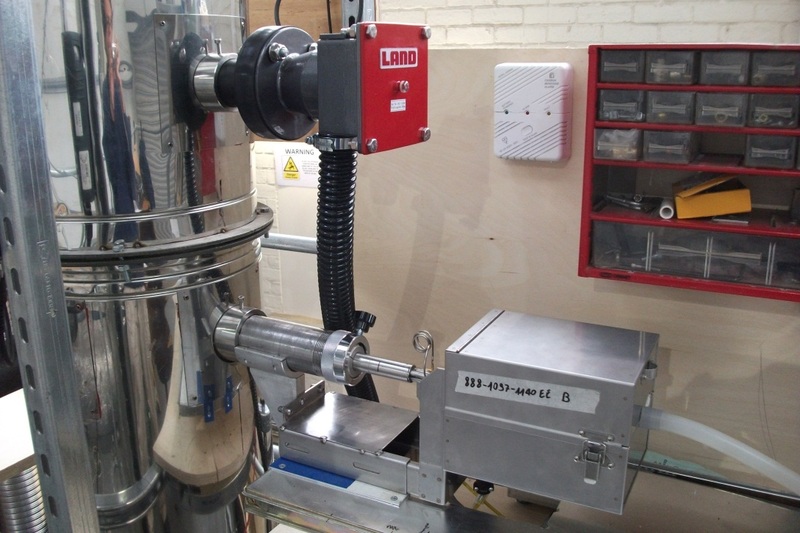 The specialist instrumentation used for sampling is an automatic gravimetric sampler which continually adjusts the sample volume flow rate and hence the flue gas velocity in the smoke sampling nozzle. In tests conducted at BSRIA, iso-kinetic sampling has been consistently maintained during the tests. The maximum isokinetic deviation on the velocity is around 0.8% compared to 2.5% which is required in the test standard. BSRIA’s smoke emission test results are expressed in grams/hour to enable comparison with the permitted smoke emission rate given in BS PD 6463 and represent the average smoke emission rate taken over the test cycle which is typically 45 minutes to an hour. Alternatively the smoke emission rate can be expressed in mg/m3 at a reference oxygen content of 13% in the undiluted flue. Opacity measurements are also taken during the tests to detect the peaks in the smoke emissions during refuelling and de-ashing. Pritty intersting how a stove is checked before it is sold. I think it’s quite important, because often not the fire is the danger but the smoke. Are there any limit values stoves are allowed to have? Thanks for sharing this kind of secured & safety testing process… I am very much appreciate with this kind of technology…..